Forgiving Keven, an all-new suspenseful, second-chance, new-adult romance from Siobhan Davis, the USA Today bestselling author of When Forever Changes and Inseparable, is coming January 7th! They say you never forget your first love, but I’m determined to prove Keven Kennedy is just a random boy from my past. It’s not like I still think about him after all this time. Or daydream about how hot his kisses were and what it felt like to have his hands on my skin. Nope, that’s not me. I’m in a happy place in my life. Engaged to a great man and finishing the last year of my photography degree. Yet, since I returned to Massachusetts, everything reminds me of the boy who ripped my heart to shreds. Especially when my fiancé’s constant business trips, and dwindling attention, raises old fears to the surface. And then the unthinkable happens—Keven saunters back into my life, turning it upside down once more. It’s ironic he thinks he’s protecting me when the only one I need protecting from is him. They say you never forget your first love. In my case, it’s true. Most everyone in high school thought Cheryl and I were a match made in heaven and that nothing could tear us apart. Until I messed up spectacularly and lost the best thing to ever happen to me. Years have passed, girls have come and gone, but no one has laid claim to my heart in the way Cheryl did. I thought she was lost to me forever, when an unexpected encounter with an uptight FBI agent, and an intriguing proposition, brings the beautiful blonde back into my life. I didn’t hesitate to sign on the dotted line. I let Cheryl down once before. I’m not going to fail her this time. Forgiving Keven is a STANDALONE title in the Kennedy Boys world. No cliff-hanger and a guaranteed HEA. 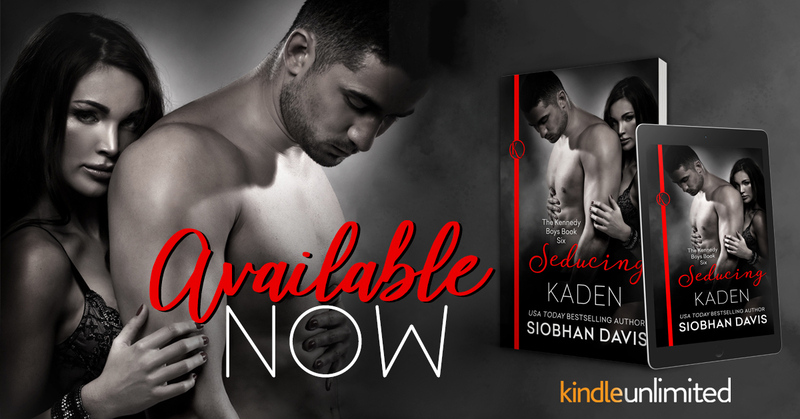 Seducing Kaden, an all-new taboo romance from USA Today bestselling author Siobhan Davis is LIVE! 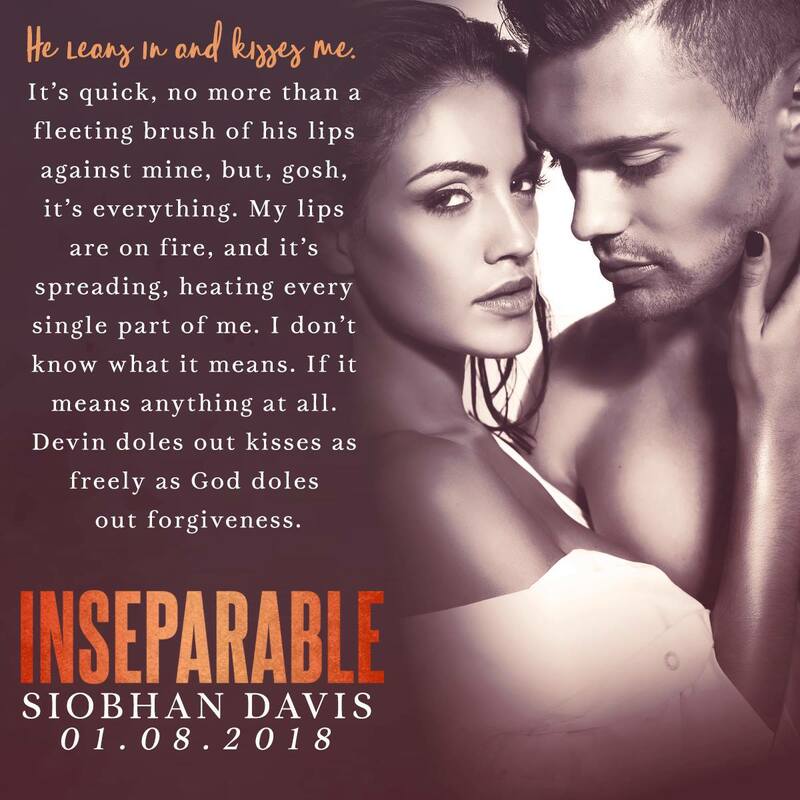 Inseparable, an all-new gritty, friends-to-lovers romance from USA Today bestselling author Siobhan Davis is available NOW! He leans in, his lips brushing my cheek as his mouth makes a round trip to my ear. “What if I told you I want to be your most favorite person? The one you adore above everyone else?” His warm breath is doing strange things to my insides. My entire body is tingling, and my limbs feel like they’ve turned to rubber. He moves his hand up and down my spine, and a soothing warmth seeps bone deep. I clutch his waist harder, subconsciously moving closer until there’s barely a sliver of space between us. Every cell in my body screams for him, and I should pull back, withdraw from temptation, but I’m already under his spell. “Resist what?” I croak, my voice hoarse, raw with need. I’m holding my breath in anticipation. Every nerve ending in my body is on heightened alert. He licks his lips, dropping his hungry eyes to my mouth. My body pulses with need, and I squirm a little, keeping my eyes locked on his, knowing the desire I see is mirrored on my own face. “This,” he confirms, closing the gap between us and slanting his mouth over mine.